A completely NEW juicing bowl design on the Kuvings C7000S minimizes post juicing drips and leaks that are common on other upright juicers. This is accomplished by the removal of the rubber silicone plug from the design entirely. This plug is found on the bottom of the bowl with other vertical juicers, creating a common drip/leak point. Pair this with a new auger design that mates up to the motor base even better to improve yield beyond other uprights or vertical juicers. 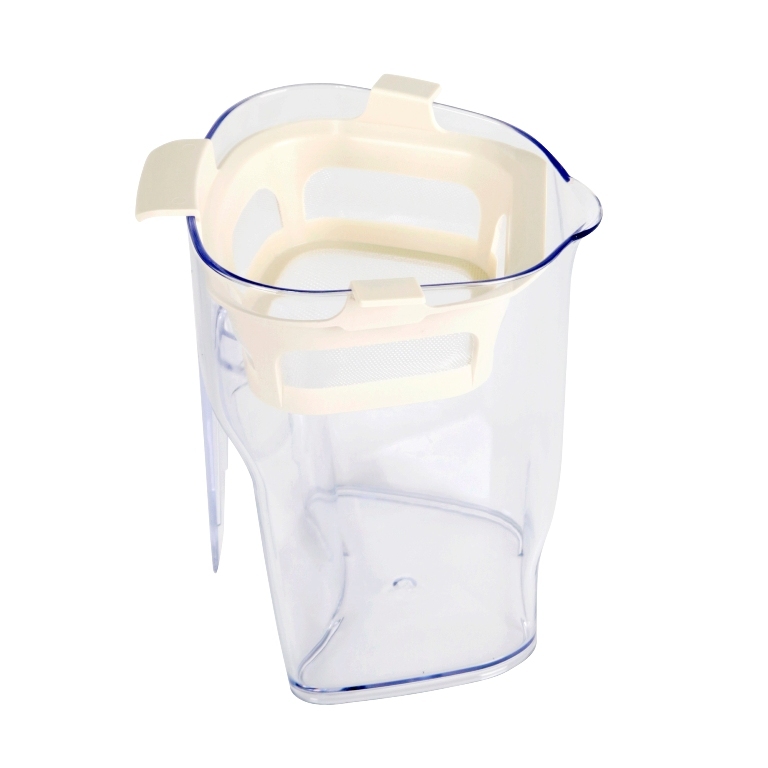 Kuvings has even added a new strainer that fits on top of the juice cup to give your finished juice the feel your palate is after. A new funnel has been added to the top of the juicer to better contain what is being added to the juicer so you can now pour in your fruits and veggies. The Kuvings C7000S is the first vertical low speed cold press juicer with 3 inch wide feed chute with heavy-duty motor that can take in whole fruits. The patented low speed masticating technology gently squeezes ingredients preserving all the beneficial nutrients. The low-speed gear reduction motor operates quietly and keeps the vibration level at its minimum. I bought this juicer on Black Friday. The first time I used it the top would not come off. I was told to return it but the sales person told me that she had one and it worked well, plus it was during Christmas and I was busy so decided to have Kuvings send me another top. Same issue is happening, it sticks and won't turn to take off. Tonight, after juicing I had to take it to church to have a couple hefty guys turn the top off. So frustrated. No sales person told me this would happen. On top of that it's so hard to clean that the brush that came with it wore down the first time I cleaned it. Merchant's comment:Thank you for your product review. We're sorry for your frustration in regards to the lid getting stuck on the juicer (even with the replacement part). This is not a product defect but rather the outcome of juicing with a clogged screen. In fact, your comment about wearing out the brush confirms this. Here is the guidance we provided not only when the issue was brought to our attention, but again after the manufacturer replaced the lid and bowl as a courtesy. 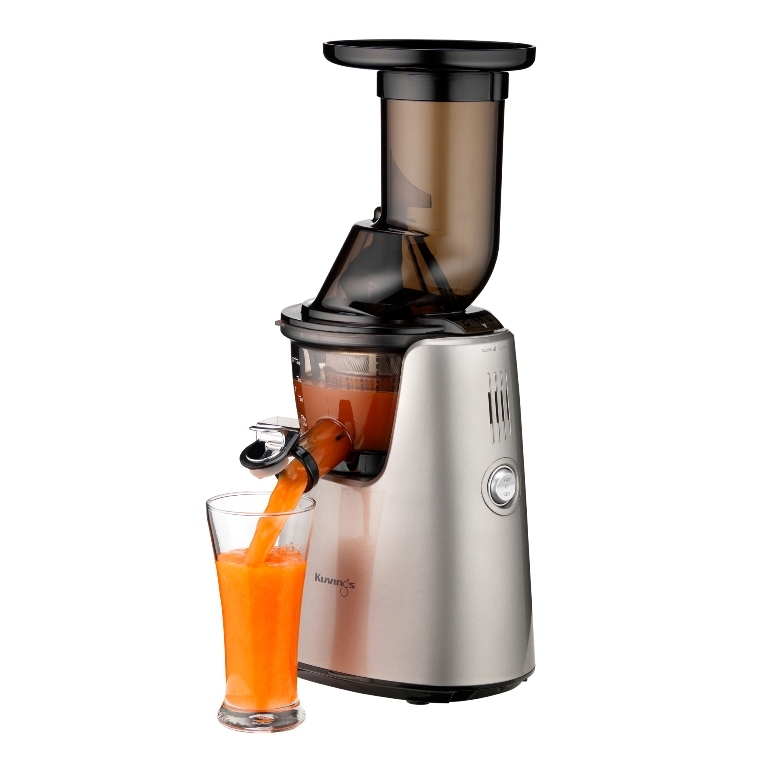 When you are juicing with a vertical juicer, when juice output starts to slow down, you need to stop, open the juicer and tap the pulp off the internal juicing screen (or rinse it, or scrub it with the included brush). This really doesn't apply to just vertical juicers but all juicers. It just so happens that because the screen is so much larger on the vertical juicer, people tend to think they do not need to clear the pulp off. 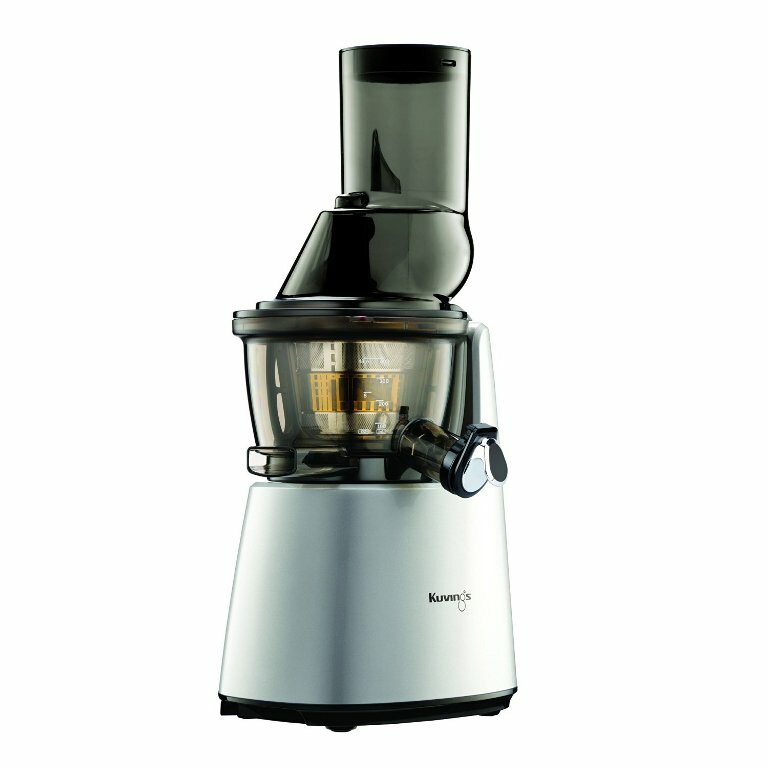 As a result, if you continue to add more produce into the juicer with a clogged screen and there is no juice coming out, what happens is the auger will masticate the produce and rather than filter the juice through the screen it will fill up the juicing bowl. When the juicing bowl fills up, it puts upward pressure on the lid because the masticated pulp has no place to go (think of blowing up a balloon). We've seen instances where the lid or bowl have cracked because the bowl is filled beyond its capacity. 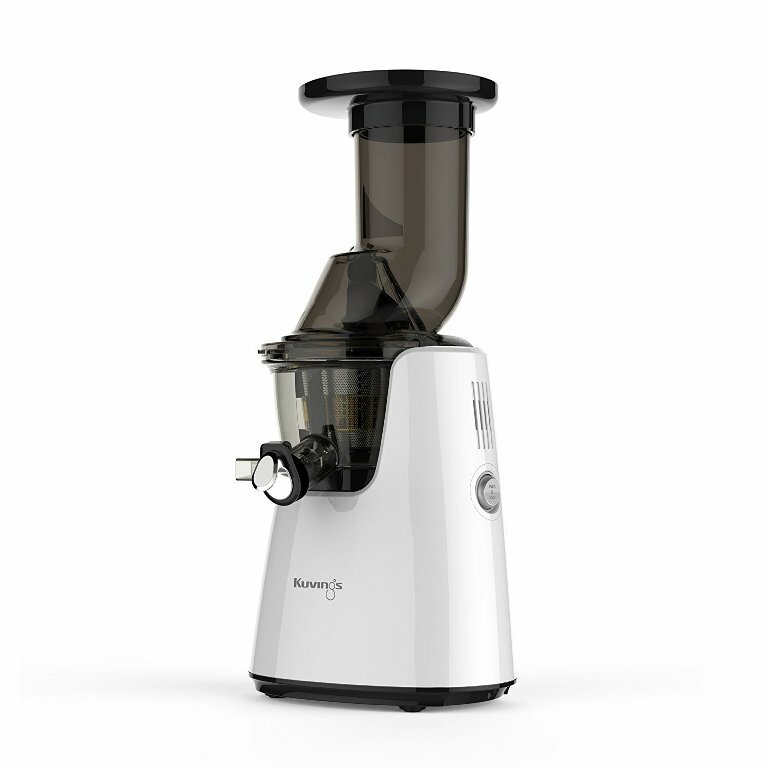 The Kuvings juicer includes a motor torque sensor that will shut off the juicer when it senses the auger under too much stress (as would occur in an overfilled bowl beyond capacity). In cases where a lid does get stuck on a vertical juicer, you can release it by soaking the whole assembly first in hot water (releases the sticky pulp), and then immediately in cold water. This is due to the different plastic between the lid and bowl contracting from the cold at different rates, which allows for the lid to be taken off. When we were contacted on multiple occassions in regards to this issue, we explained why the lid was getting stuck. We have been in the juicing industry for over 15 years and have personally used ALL of the juicers we offer for sale. 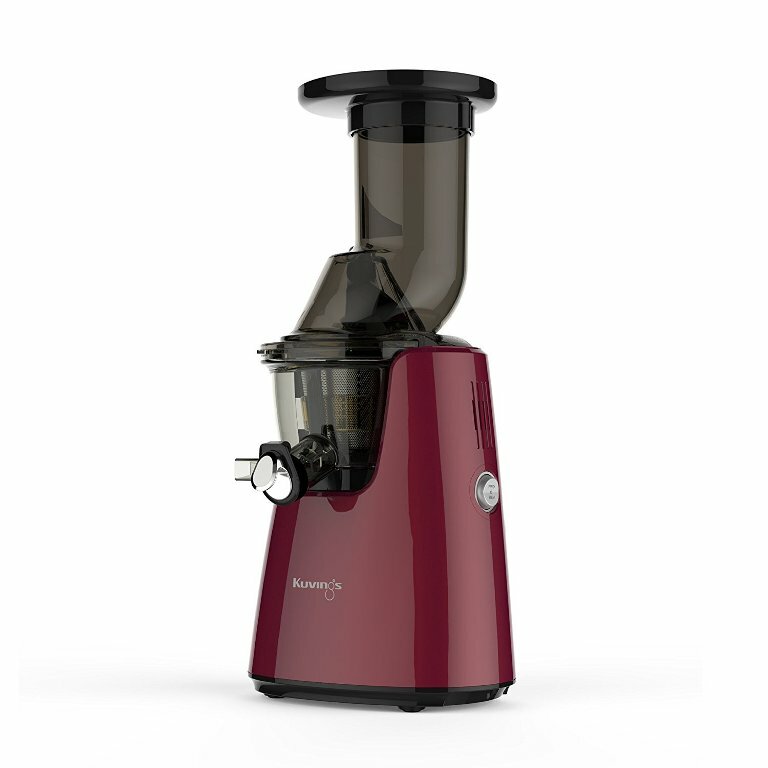 Typically when a problem reoccurs on a juicer that does not normally have any defect issues with the parts in question, we have to look to the usage of that particular product. In this case, based on how the product was being misused, the juicer failed with both sets of parts. We wanted to clarify this because the Kuvings C7000 Juicer is a great juicer that most people love and have no issue with. Unfortunately we can only offer guidance and advice on how to overcome certain reported issues based on our many years of experience. We are sorry in this case that our guidance did not overcome the issue. We thank you for your product review, as without it future buyers who may experience this issue can see your review and our response so they can have more confidence in the product.